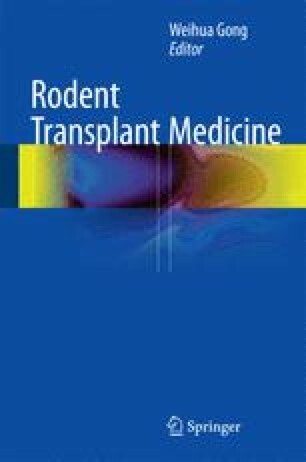 Mouse nonvascularized skin transplant model is used to investigate the immunological mechanisms of graft chronic/acute rejection and mainly characterized by its easy surgical procedure compared with other vascularized transplant models. Importantly, skin graft rejecting process is reliable and reproducible in the aspect of allogeneic responses, offering its wide use in the field of murine transplant researches. Skin grafting has become a basic and established operation technique, applicable to other small lab animals such as guinea pigs and rabbits.